Project delays and hiccups are a costly affair as well as inconvenient too. They make you lose out on an opportunity and also spend more on your projects. Often these delays are caused due to difficulty in managing and communicating with your developers. The problem increases where developers are hired from various parts of the world with different time zones and work hours. Moreover, there is a chance that developers might take up several projects simultaneously and decide on the hours spent on each of them which adversely affects your work. Hire dedicated developers from ToXSL Technologies to resolve problems of delay in project management. The pool of skilled developers in our company reduces your stress of searching for skilled developers, interviewing each and drawing up agreements or contracts to work separately with each of them. We just need to know the type of skills you require and we will provide you with the developers who best fit into your organizational structure and match your requirements. Our developers charge a fixed amount per month for fixed hours of work. The payment is made through secure digital modes. So, you need not worry about the method of payment. You can use your cards or your bank account to make the payment. You can also add or drop members of the development team according to your needs to keep your project running. There is no need to pay extra when you hire us for your development project. You only pay for the services you avail. In addition to this, you are sure of the availability of developers every day as long as your project is on. No need to wait while your developer is away. There will be someone to take up the job and continue without a break. Once you hire our dedicated developers your project management worries are over. ToXSLTechnologies takes the responsibility of coordination and communication between you and developers. You also have direct access to them via phone, video conferencing and email. You get dedicated developers on a contractual basis from ToXSL Technologies who work according to the hours you set or need. We have a pool of skilled professionals who match perfectly with your project requirements. We keep the source code of your project open and available to you at all times. They integrate the source code seamlessly into your workforce and provide you with a clear status of your project at all times. 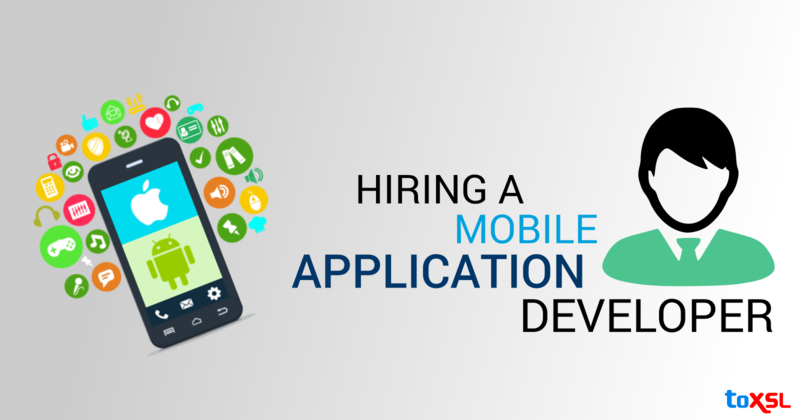 Hiring developers from ToXSL Technologies comes as an advantage for web and mobile application development. We give you the most talented and skilled developers at an affordable cost. The connections you form when you hire dedicated developers from us give you access to a new and growing market. With a number of people already working on your project, it becomes easy for you to step into the market.